Soulja Boy doesn’t want his beef with Tyga to end anytime soon. Big Drako drops a music video for his “Thotiana” Tyga diss track. The track is a bit of his version of Blueface’s mega-hit single “Thotiana.” For the past couple of weeks, every rapper on the planet want to do a remix of the track, but Cardi B managed to snag the official remix and a video for that track is now out. Soulja Boy has been attacking Tyga for weeks now while claiming that he had a bigger comeback than the Compton rapper last year, even though the stats say otherwise. 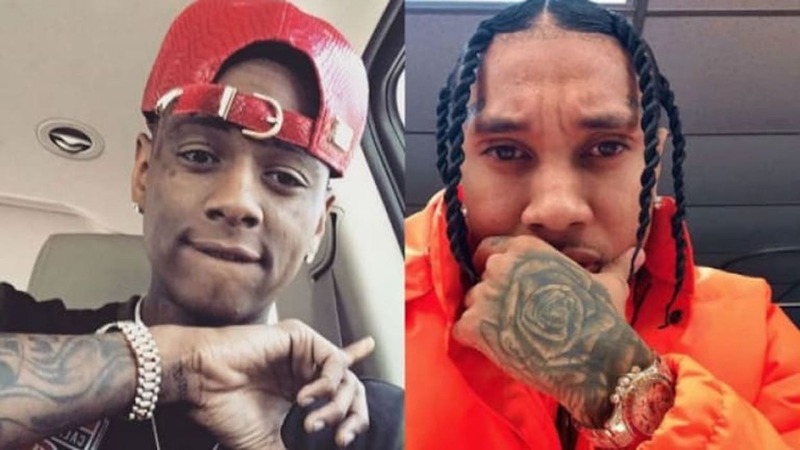 Soulja Boy also made references to Tyga’s recent incident at Floyd Mayweather’s birthday bash where he got into a fight and was dragged out of the venue by a security guard. “He got dragged out the club by the security / I know he big mad,” Soulja said. Drako also flaunts his former relationship with Tyga’s baby mama Blac Chyna. The two allegedly dated for about two weeks and then she dumped him even though he is claiming that it didn’t go down like that. TRaww hit back at Soulja Boy in January by presenting facts about his streaming numbers last year. The rapper received 884 million streams on Spotify which shows that his music was consumed by 58 million fans who listened for a total of 46 million hours across 65 countries around the world.